Gold. North other word evokes such mystique and desire. The quest for the yellow metal has driven exploration into new lands for centuries, creating frenzied rushes when any appreciable amount has been discovered- even allegedly discovered. Such was the case in Washington's west central Cascade Mountains. In 1889, Joseph Pearsall discovered "a broad ledge of gold" (it was actually galena) on a mountainside, and the rush began. The resulting influx of miners created the now legendary towns of Monte Cristo and Silverton, a railroad backed by John D Rockefeller, and a brief but colorful chapter of the area's history. The ruins of some ghost towsn and traces of the railroad still exist today and are readily accessible to the casual tourist. But hidden in the mountains and forests are the mines themselves, now mostly abandoned. These were once a frenzy of activity, and some of the engineering and transportation feats employed there were a a marvel even by today's standards. 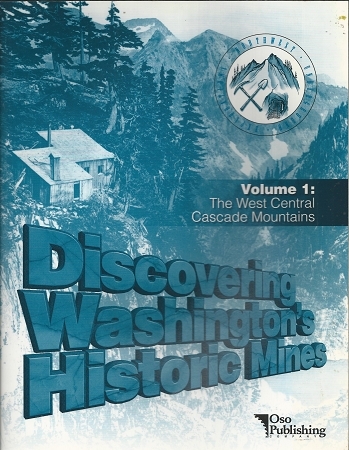 This book documents the history, geology and locations of all known haerd rock mines between Darrington and North Bend,. Each mine is rated for hiking difficulty and distance.